How do you know when it is not your night? When you can't find Vega in your finderscope. I set out before eight with a list of asterisms to observe. I got the alignment right, then suddenly the mount lost power. That's when the fun began. For the next hour and a half I was frustrated in my attempts to get aligned again. The scope would not slew anywhere near my targets as I tried to get alignment stars. I tried Vega, I could not even find it in the finderscope, even undoing the clutches didn't help. In the end I just had to give up in frustration. Without doubt, one of the worst nights I can remember. It's time to buy a dob. Programming today is a race between software engineers striving to build bigger and better programs, and the universe trying to produce bigger and better idiots. So far, the universe is winning. Last edit: 6 months 1 week ago by lunartic. Replied by flt158 on topic What a night! I'm terribly sorry to know of your troubles. Mind you, I have often said to myself "Paul ought to have a Dobsonian". I remember you had one. It just needed to me downsized. Unfortunately the next bunch of nights are all rainy. Replied by RandomPillars on topic What a night! What a shocker of a night. Chin up Paul. 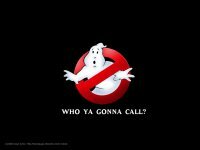 "... quit trying to upset and disturb Dr. Venkman..."
Replied by Keith g on topic What a night! We've all been there Paul, there's also the time spent during the day trying to figure out what went wrong. When you think about it, nearly all electronics produced now are massed produced and far too quickly (I've seen it myself at first hand) in production processes, too flimsy for me i'm afraid. That's why I decided to observe now without any motors or electronics. I set up my APM 120 binos or Williams optics 110mm in 5 minutes, all I gotta worry about is the clouds ! I hope you're back in action soon ! Replied by mykc on topic What a night! I feel your pain. Any luck sorting out those technical gremlins? Hope you're back in action soon. Replied by lunartic on topic What a night! Didn't take it out tonight, Mike. Popped the 100mm refractor on the alt az mount and went lunar observing. Caught Lamont and Arago Alpha and Beta, a pair of volcanic domes, Lamont is a very low feature and was happy to have caught it. I'll try the CG-5 another night. Last edit: 6 months 4 days ago by lunartic.